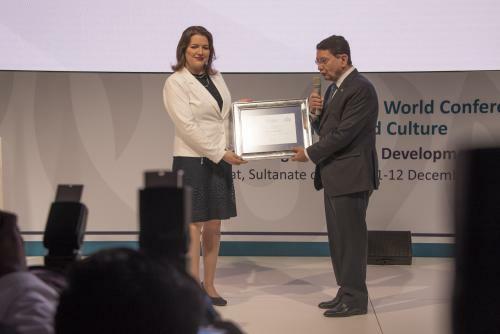 UNWTO launched the Special Ambassadors for Tourism and the SDGs program as a legacy of the International Year of Sustainable Tourism for Development 2017. The program aims at advocating for the contribution of sustainable tourism´s to the 17 SDGs and encouraging the full integration of tourism and the SDGs in national, regional and global agendas. In her intervention at the Conference H.E. Ms. Eliza Jean Reid underlined the relevance of sustainable tourism as a means to build peace and social cohesion.